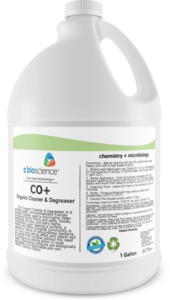 Z BioScience probiotic products clean down to the microscopic level, making them ideal for agriculture and animal husbandry. They are certified green and are biodegradable, non-flammable and low VOC. Our cleaners do more than just remove dirt and grease; they colonize surfaces with a healthy layer of probiotic bacteria to keep them cleaner, longer. Thoroughly cleans all surfaces and equipment in hatcheries, farrows, growing barns and other heavily fouled livestock areas. Probiotic spray can create a healthier environment for up to 72 hours. Enhances livestock drinking water by providing a health supplement and keeping water lines clean. 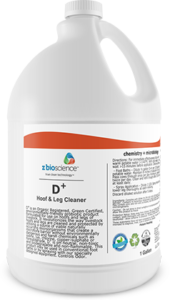 Revolutionizes how livestock hooves and legs are cleaned and protected by using naturally occurring microorganisms that create a a healthy microflora. Formulated specifically for dairy cows and other livestock to treat teats by creating a healthy microflora for a soft, subtle healthy teat. Creates a healthy, stable microbial community that promotes healthy hoof’s and legs. 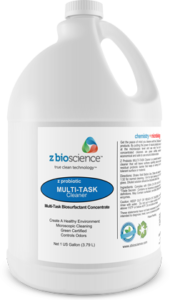 Z BioScience probiotic cleaners are changing the game, providing better and longer-lasting True Clean. All our products are formulated for commercial and office environments and are non-toxic, biodegradable, non-flammable and low VOC. Our cleaners are effective in commercial office buildings, medical facilities, retail outlets, schools, restaurants and other facilities. Powerful concentrated foaming biosurfactant cleaner that will leave surfaces sparkling clean and streak-free. Our ultra concentrated foaming biosurfactant cleaner can be used on any moisture-tolerant surface or material. Formulated for environmental safety, certified green degreaser and cleaner leaves behind a healthy probiotic microbial layer. Powerful low-foaming biosurfactant cleaner that leaves carpets and floors amazingly clean and odor-free. This powerful biosurfactant cleaner uses encapsulator cleaning technology for ongoing care of soft flooring such as carpets and rugs. A versatile low-foaming biosurfactant cleaner that will leave all moisture-tolerant surfaces, hard and soft, amazingly clean and hygienic. Concentrated microflora spray leaves behind a powerful probiotic microflora that keeps your environment healthy. I was searching for a green alternative to cleaning and found probiotics. I like that they clean the natural way and are safe for the environment and my family.